Tired of seeing your kids glued to your phone or the family tablet spending hours on games? Put the power of Android to good use with education apps and kids learning apps highlighted with this guide. Back in the days when the idea of an interconnected network was conceived, sharing knowledge was the dream behind the idea. While that dream continues to live on, the World Wide Web has reached far beyond its intended purpose, especially with the inception of mobile devices and advanced operating systems. Whether you choose to use the internet as a means to progress or spend your time trolling people online is your choice to make. The same goes for mobile operating systems such as Android, where the Google Play Store is crowded by apps and games, but (fortunately) the element of educational apps and kids learning apps is not yet lost. Learning new things and self-educating has been a core element of Google for decades, and they encourage users to do the same. Ever since the early years of Android, users have been encouraged to learn new things, including app development through the Training for Android developers program. However, as the era of smart learning is catching up and we are more connected as a global society, you’re nothing but a few clicks away from enrolling into a course offered by a university that is halfway across the globe. Whether you want to learn web development, or just looking for a great language learning app to brush up your Spanish, Android has everything to offer. 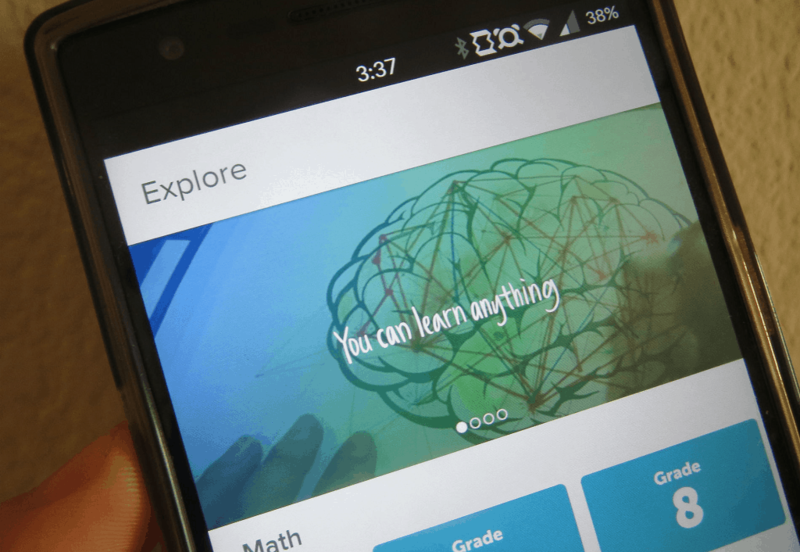 Moreover, some veteran online learning platforms have joined the Android OS to offer their learning services to users on mobile devices, which has pushed the Google for Education agenda even further. The concept of smart classes has been around for a few years now, but most public and private schools are yet to catch up. In an era where our kids are surrounded by smart computers that fit into our pockets, creating and interactive environment for education is being made easy by Google. 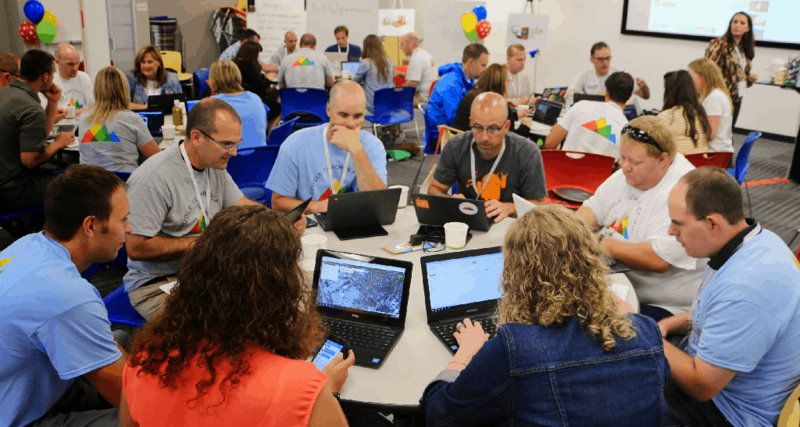 Heavily investing in the billion-dollar industry of education and online learning Google has created multiple education platforms for students, teachers, and even the entire institutions. While spending thousands of dollars on a private school with smart learning programs may be out of your reach, you can enjoy the best Google for Education program for free. Google Play for Education has been around on the Android platform for years and is now on the brink of being absorbed into Chromebooks, which are a cheap and useful solution for schools. However, there are plenty of kids learning apps for Android available in the market today that can help your little one acquire knowledge from the Android smartphone or tablet, rather than spend their time playing games. School may end every afternoon for your children, but their ever-learning mind is full of untapped potential. Every scientific study will show you that interactive medium such as mobile devices and tablets will help your child learn far effectively than burying their head in a boring book would. Rather than wasting time on smart study programs, why not use your family Android tablet as a virtual teacher at home? Consider the Android OS as the gift, and if you have made the choice to learning something new today, there’s a whole world of possibilities for you to try out. Since you are never too old to learn something new, there is an ocean of possibilities for you to educate yourself. To help you get started as a parent or as a learner yourself, here is a guide to some of the best educational apps and kids learning apps available. The best example of a free educational institute is Khan Academy, which was created for the very purpose of bringing interactive video lessons to everyone around the world for free. Apart from being one of the largest educational institutes online for young ones and the grown-up learners alike, Khan Academy app for Android is a fitting extension to it. With a simplified navigation designed to help kids get their way through the app, it is connected to the education platform with more than 10,000 interactive videos than span across subjects of history, math, science, and even advanced subjects such as economy, algebra, microbiology and more. Starting from the basics to training for entrance tests such as SAT, MCAT, GMAT and others, Khan Academy is a one-stop solution to acquiring knowledge. Unless you were an Einstein at mathematics in school, you probably ended up scratching your head over a problem that you just couldn’t solve. Fortunately, this generation doesn’t have to worry about complicated math problems their teacher gave for homework, thanks to Photomath. The ability to solve complicated calculations by simply pointing your phone towards it is what this cool kids learning app is all about. 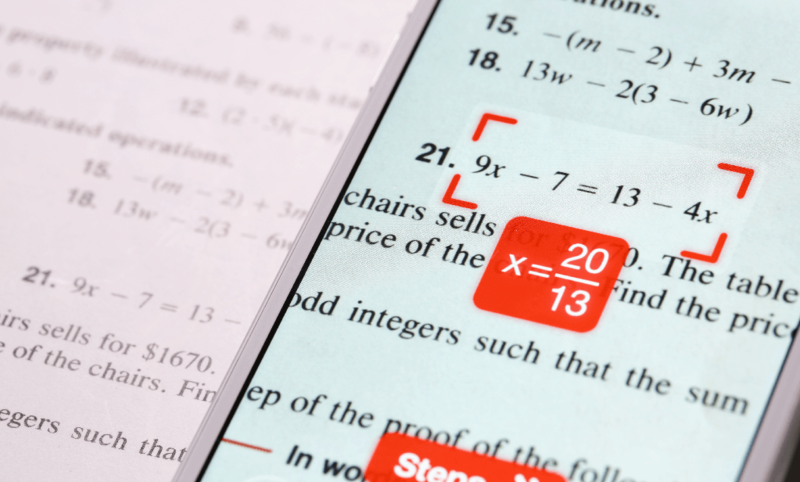 Simply open the Photomath app, scan the problem and view the answer right away, but how do you solve it step-by-step? Simply open the window under the answer tab and you will be greeted with an easy to understand explanation. However, if your child needs some extra help with their math homework, go for Photomath+ (paid) for colorful explanations and complete instructions for a knowledgeable experience. From teaching you how to bake chocolate-chip cookies, to helping you learn how a rocket ship works – there is no argument over the fact that YouTube is an abundant source of knowledge and learning. However, the open video platform is also packed with distracting videos and music, along with plenty of content that is not suitable for the young minds. 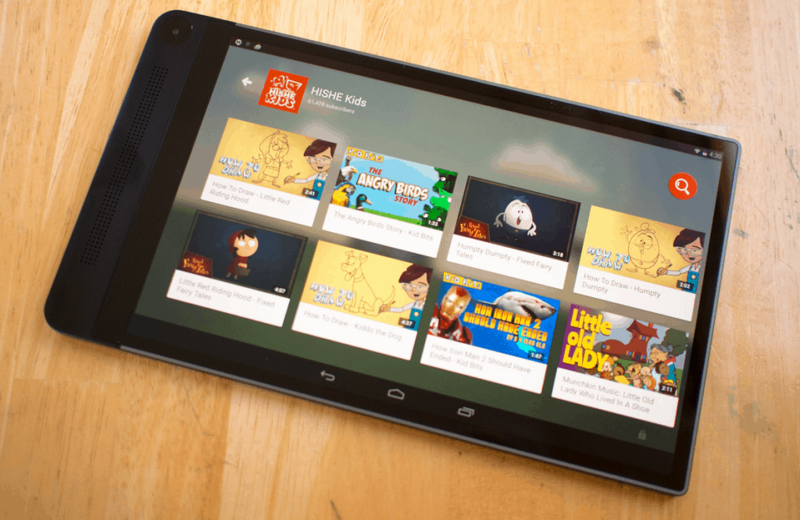 This is where YouTube Kids comes in to save the day, turning the largest video sharing platform in the world into a child-friendly environment. Apart from filtering out the garbage and presenting your child with only meaningful and educational content, you can ensure that your child is learning something while being entertained. 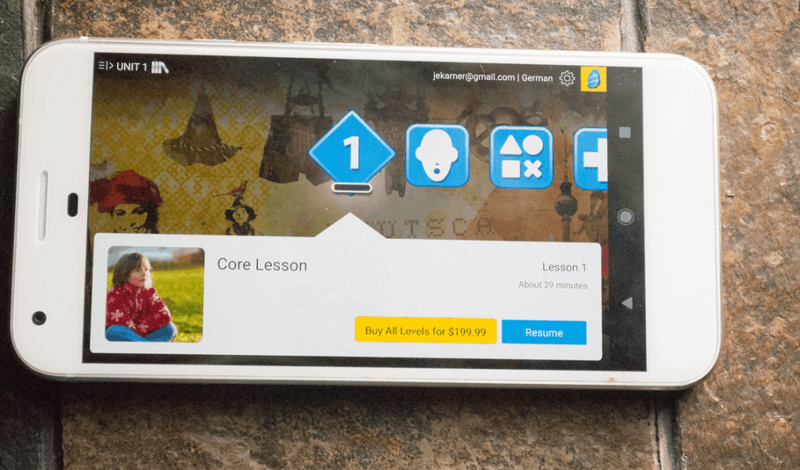 Starting off with the app that has been granted the Best Educational App of the Year award, Rosetta Stone is hands-down the easiest way to learn a new language with Android. With a comprehensive learning guide for 28 different languages, this app is directed towards those who want to become fluent at new languages and perfect their speaking style and pronunciation. Rather than creating a universal textbook guide to learning multiple languages, Rosetta Stone helps you practice conversational skills with real scenarios and events. With features like TruAccent speech recognition to practice native speaking and offline learning capabilities, the app is offered free of cost to start with. If the second languages class at school is just not cutting it for your kid, hand them the Duolingo app and see them learn a new language the fun way. 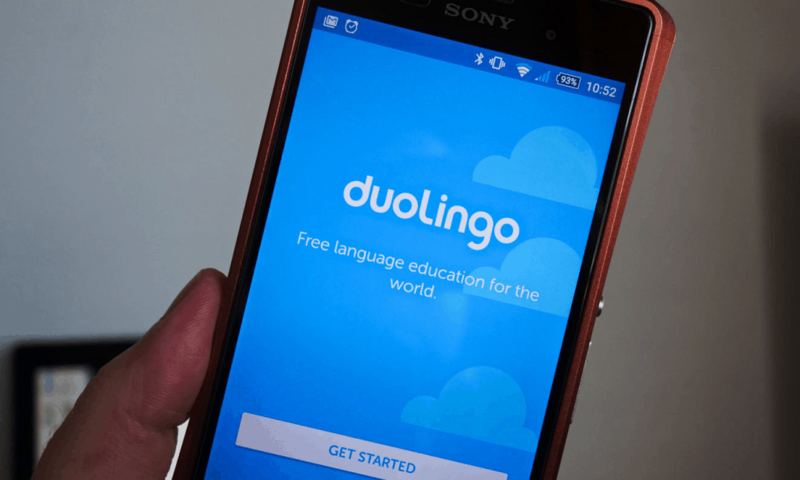 Helping people all around the world learn 20 different languages in a gaming environment and competitive way, the popularity of Duolingo has turned into one of the best educational apps for learning new languages. Depending on which language you choose to learn and how popular it is among other users, there are module lessons that you must complete to move forward. Starting off with the basics, your progress is rated with XP score and leaderboards, so that you can not only gauge your language skills but keeps things fun by competing with your friends online and make learning a group activity. If you would rather have a language learning app that revolves around a specific language, ATi Studios has created a suite of apps that might interest you. With more than 30 apps that target 30 apps specifically, you can do a lot more than just understand how to understand, speak the language, and pronounce certain words with its very own AI assistant called Mondly. You can create actual conversations with a virtual person, practice reading, writing, speaking, and even enhance your personal dictionary in real-time. Whether you’re a busy professional who doesn’t have too much time to complete language learning courses every day or a parent who doesn’t want to learn a new language without dedicating too much time, adjusting your needs is easy with the ATi Studios language learning apps. More than just your run of the mill educational app, Coursera is regarded as an online education institute in itself, backed by thousands of professors, scholars, and students all around the world. From getting a basic learning in computer science to completing a course on foreign cultures with certification from top Ivy League schools, Coursera covers it all. The Android version of Coursera expands to over 1000 courses, which are available for free and paid, depending on the expertise and the professors involved. With live lectures streamed from the top educational centers of the world and a platform with coursework, tests, puzzles, and even qualification certificates that hold real merit, you can carry around an entire university in your pocket with Coursera. Whether you’re an undergraduate who wants to learn how to code on the side, or already a programmer who wants to learn the latest coding languages available, SoloLearn what you need. Essentially an app that provides a complete learning solution to someday help you create your very own apps, it covers languages such as Python, Java, HTML, C++, PHP, SQL, Swift, CSS and much more. The entire learning program is divided into a set of educational apps for each of the programming languages and is available for free. Making learning interactive and competitive, SoloLearn grants each user a chance to level up by challenging fellow learners and rank up. 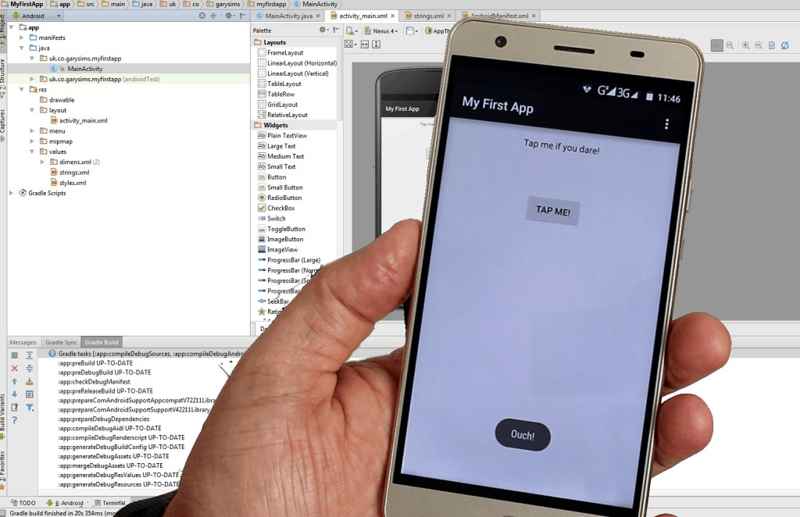 Regardless of whether you’ve ever coded before, if learning a programming language and building Android apps interests you even the slightest, this app is the one to try out. Knowledge isn’t just about what you learn in school and online courses, which is why TED has become one of the most popular speaking platforms. TED Talks has recently become a powerful forum for influential people from all walks of life to discuss industries such as medicine, technology, sexuality and more on an in-depth level. 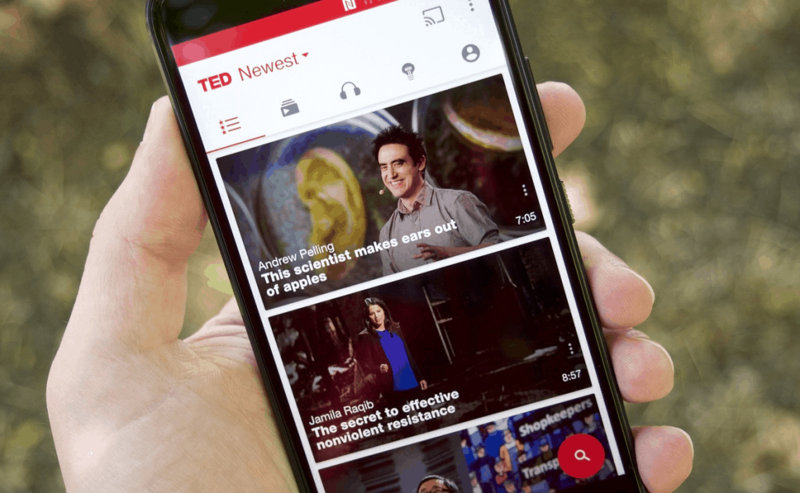 The TED app for Android comprises more than 2000 TED Talks available for you to watch and feed your curiosity with knowledge from a personalized perspective. Moreover, you can download offline audios and even the popular TED Radio Hour podcast on the go, while enjoying some hilarious talks, pick your brain with deep discussions, and widen your psyche to a world of knowledge and experience narrated by the best of the best. The days of studying hard are gone – studying smart is what is going to make up the next generation of youth. More than just giving your child an upper edge is everyday education, some the best educational apps highlighted here will help them enjoy the experience of learning. However, since we never really stop learning, Android is not limited to kids learning apps and can help you take up a subject of interest at any age. Whether it is coding and programming that has caught your interest or the study of a language where you wish to migrate to, all you need is this guide of the best educational apps for Android to get going. Which is your all-time favorite app to help your little one learn something new, or an app that helped you broaden your mindset? If we missed any awesome app that deserves a spot on the list, be sure to mention it in the comments section, or create a social buzz on the Updato Forum right now.